Chandra Lucariello is the Director of Mixology and Spirits Education for Southern Glazers Wine & Spirits of Hawaii. Chandra first started in the hospitality industry over 23 years ago to fund her education, gaining an English degree from the University of Hawaii, and a Masters in Business Administration from Hawaii Pacific University. Following graduation, she soon realized that the business she was truly passionate about was the business of crafting perfect cocktails. She started with Southern in their fine wine division in 2006, being exposed to the best wine portfolio in the state, and having the honor of learning from Master Sommeliers Chuck Furuya and Roberto Viernes. In 2007 she was afforded the opportunity to be mentored by one of the most talented individuals in our industry, SGWS’s National Director of Mixology, Francesco Lafranconi. As the mixologist now for SGWS Hawaii she has had the honor of developing beverage programs for some of the most elite hotels and prestigious restaurants throughout Hawaii. 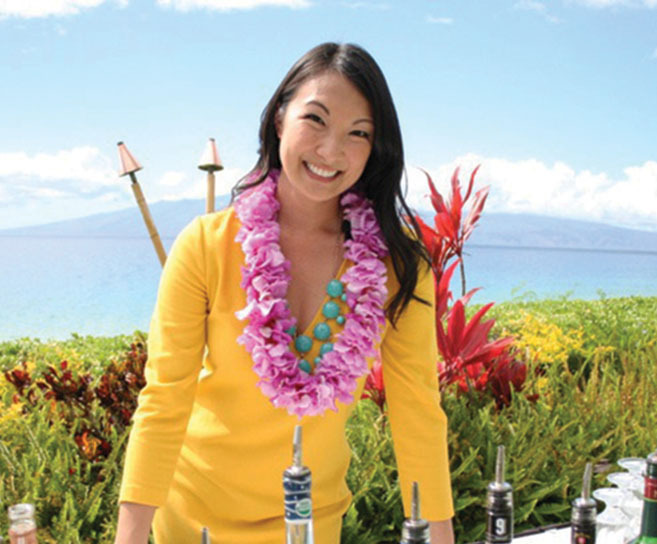 She has been involved with the Hawaii Food & Wine Festival since its inception, orchestrating everything cocktail, and contributing her talents at the celebrated events. Chandra was one of the founding members of the United States Bartenders Guild, Hawaii Chapter in 2009, pioneering the path for craft cocktails in our islands. She currrently contributes a monthly column titled, “Spirited Conversations,” featured in the CRAVE section of the Honolulu Star Advertiser. She is incredibly privileged to be a part of such a talented, knowledgeable and well-versed team at Southern, and looks forward to contributing her abilities through spirits education, a constant drive to learn more, and passion for the trade.